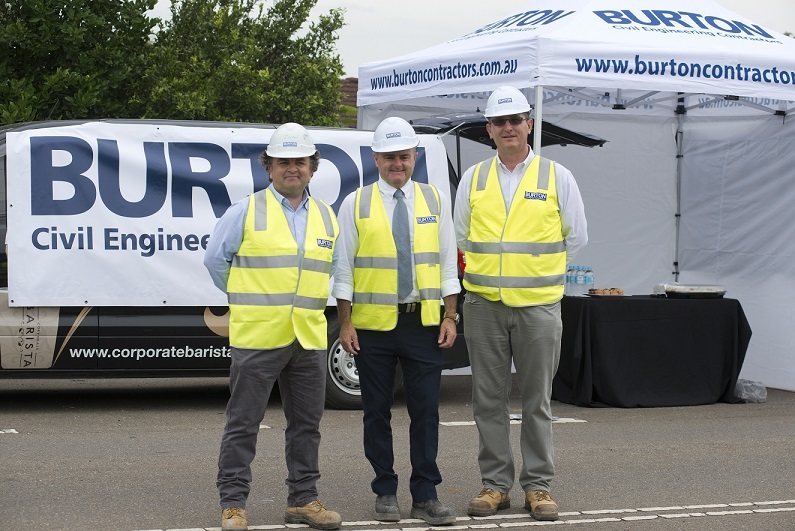 Burton Contractors are proud to announce another significant milestone has been met on the Werrington Arterial Road project. Minister Duncan Gay, Minister for Roads, Maritime and Freight, Minister Paul Fletcher, Minister for Major Projects, Territories and Local Government and Tanya Davies, State Member for Mulgoa attended Werrington on Wednesday 27th of January to mark an important landmark for the project, the traffic switch. The Werrington Arterial Road will soon link the M4 and Great Western Highway, with the $74m project now at the halfway mark. It should be completed by the end of the year. NSW Roads Minister Duncan Gay says infrastructure must be built before the population grows.